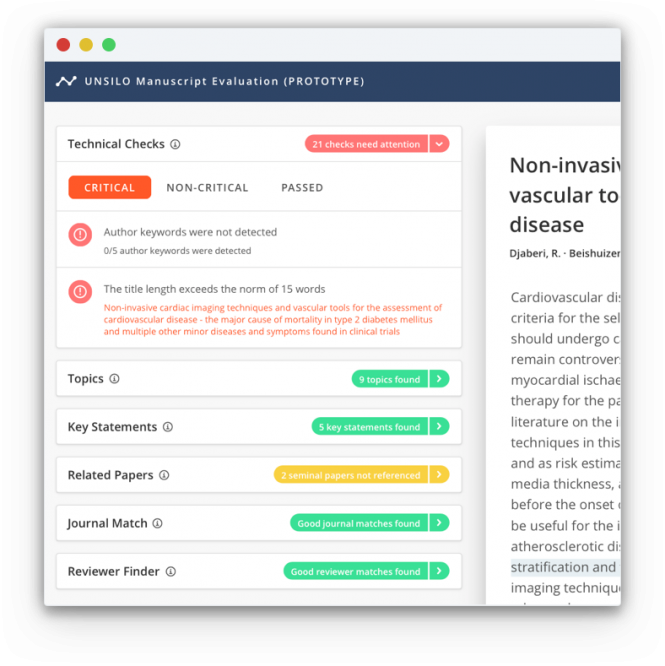 UNSILO Manuscript Evaluation supports experts with machine intelligence to scale human capacity for manuscript preparation; scale content screening, and reduce time to publication. Work smarter with AI! The dramatic growth in research output will challenge the traditional peer review models unless we augment and strengthen our screening capabilities. 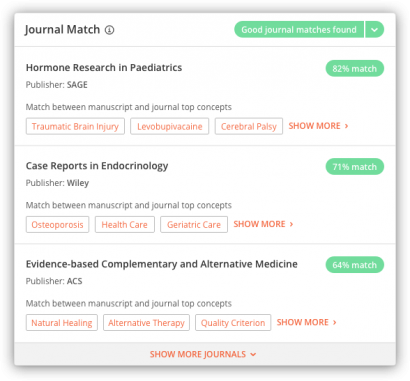 As a result, UNSILO has launched Manuscript Evaluation, an emerging set of tools that use advanced machine intelligence and natural-language understanding to help authors, editors, reviewers, and publishers carry out manuscript submission and evaluation. We are building and refining the feature set with our pilot partners over the coming months. Contact us for more information, or if you are interested in a pilot partnership. UNSILO Manuscript Evaluation accelerates and improves the submission and evaluation process, combining real-time natural-language processing with sophisticated artificial intelligence. 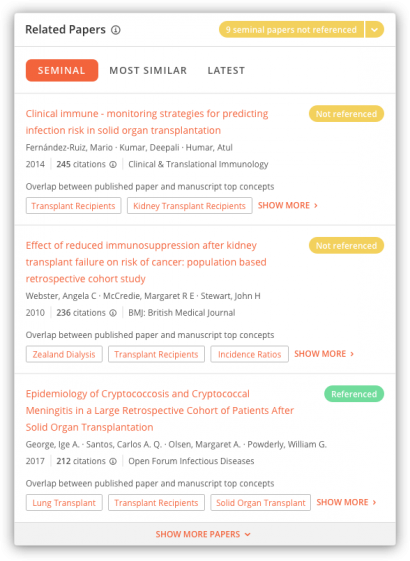 This new approach to submission supports human evaluation, reduces time to publication, and enables the screening of content, both pre- and post-submission, to be scaled significantly. 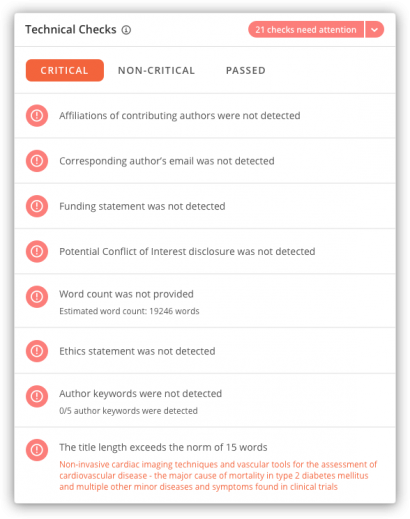 Match the manuscript to a range of technical constraints like disclosure and ethics statements. The AI will give proper warnings when constraints are not met. 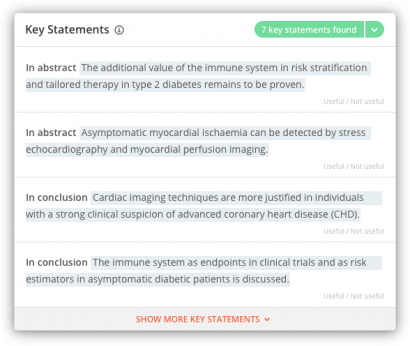 Let AI help you look at each manuscript to assess which sentences in the manuscript resemble assertions or key findings. Our sophisticated reference analysis automatically scans the wider literature against each submitted manuscript to spot outdated, missing, or seminal references. 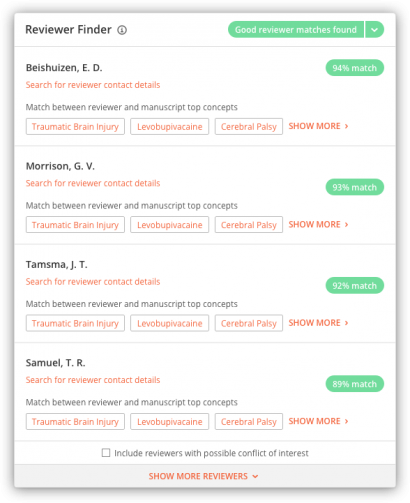 Let the AI help you with one of the most time-consuming tasks in the submission process, which is to determine good suggestions for peer reviewers.